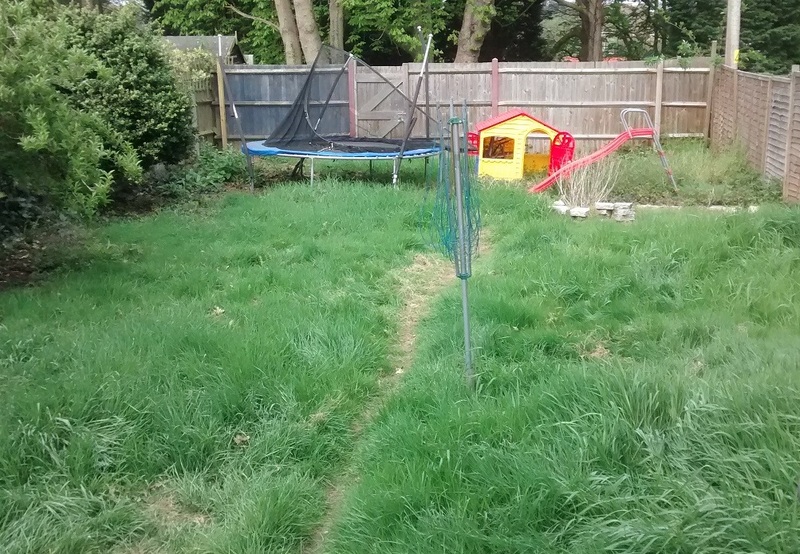 The grass had got out of hand and the children's playthings were in danger of being reclaimed by nature. The grass needed strimming and mowing twice but is now back under control. 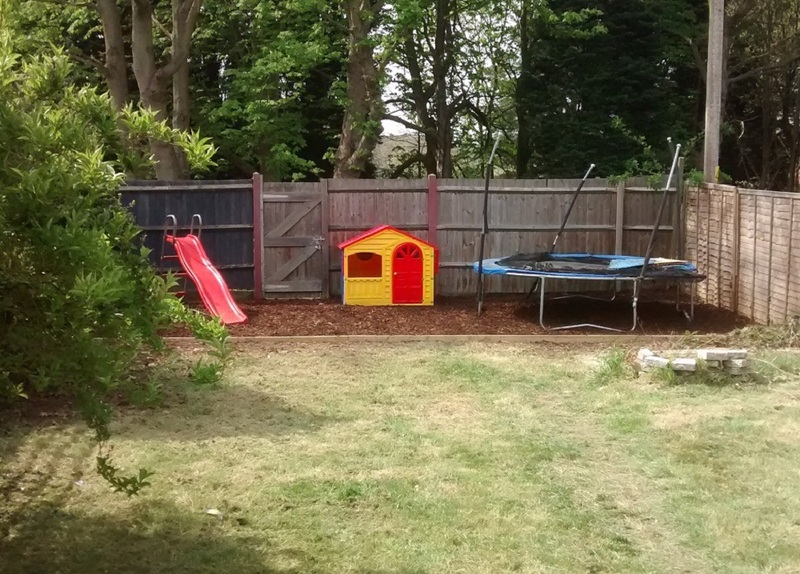 The end of the garden was cleared of weeds and brambles, levelled and edged with a 6" x 2" treated timber retaining board. Weed suppressing membrane was laid and then covered with playbark. All achieved while the customer was at work.